Mr. Pankaj R. Dharkar the Director of Pankaj Dharkar and Associates is passionately involved in providing innovative and energy efficient Design Solutions for Building Services since more than three decades. 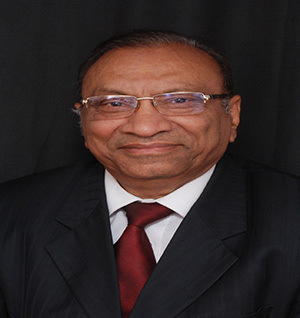 Mr. Pankaj R. Dharkar is an engineering graduate of 1980 batch with distinction and specialization in Air-conditioning and Refrigeration from SGSITS, Indore, M.P. 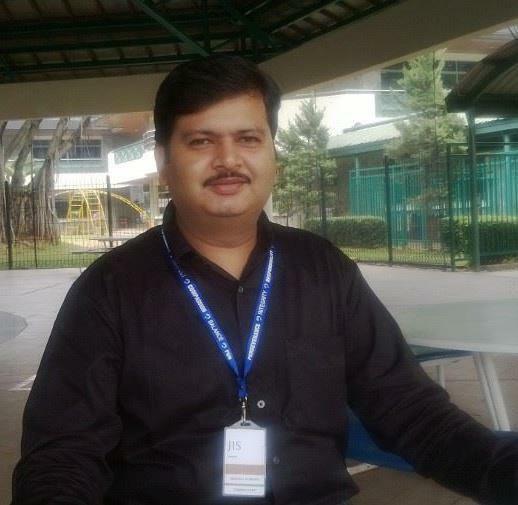 He started his career with Voltas Ltd as a Project Engineer in AC & R Division and worked for 9 years. He then spearheaded Dikshit Consultants and Engineers Pvt. Ltd. for 17 years & successfully designed and executed several projects in various fields single-handedly. Mr. Pankaj R. Dharkar has always been a dynamic member and contributed tremendously towards achieving the goals and visions of various Engineering Societies at National and International level. He is an active member of ASHRAE (American society of Heating, Ventilation, Air-conditioning & Refrigeration Industry) ISHARE (Indian Society of Heating, Ventilation, Air-conditioning & Refrigeration Industry) & IGBC (Indian Green Building Congress), AIACRA, IPA, FSAI (Fire and Security Association of India). Mr Pankaj R. Dharkar has published several articles in Journals and presented papers at conferences. He has been playing important role as chairman in organizing expositions like COMFEX & ACREX and also coordinated several seminars-workshops in the field of HVAC, Fire Safety, Plumbing etc in different parts of the country. He was also associated with School of Building Science and Technology (CEPT) at Ahmedabad, as a Visiting Faculty. 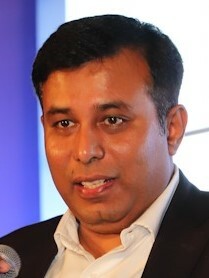 Co-chairman for ACREX– 2008, 2010 & 2012. Chairman of COMFEX–1997 & 2005 at Ahmedabad. With a seasoned experience of 29 years after completing his Civil Engineering from Delhi College of Engineering, Sandeep Narang is a respected and well known veteran within the real estate community in the country. 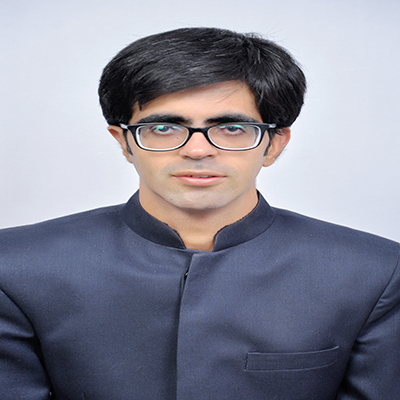 Sandeep has excellent knowledge of the dynamics of volatile real estate market. He is a champion of affordable housing and an expert in sustainability in the built environment. 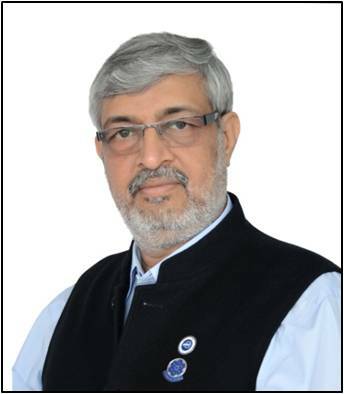 He is a crucial and active member of the Indian Institute of Lean Construction Excellence. He consults projects on prudent usage of resources and helps project teams to meet their green and sustainability targets. OVERDRIVE ENGINEERING PVT. LTD NEW DELHI. ü Energy Efficient Design and Engineering in Air conditioing and cooling system, Indoor Air Qualty and Geothermal for ENCLOSED FACILITIES. • In Air conditioining industry since 34 years. v Member - R&D Project Sectorial Appraisal Committees (RDSPAC) for Ground Source Heat Pumps (GSHP’s) of MNRE (Minstry of New & Renewable Energy). Mechanical Engineer from IIT - Roorkee, 1991 and MBA from FMS, Delhi 1993. 48 years of age and engaged with the HVAC industry for the last 22 years. Managing Director of Meho-HCP Air Systems Pvt Ltd which is a large HVAC contracting & Services company based out of Kolkata & Delhi and doing projects all over East & North India. The group employs approx 450 persons and is also one of the Country’s largest Exclusive Channel Partner of Carrier Air-conditioning & Refrigeration Ltd. handling the whole spectrum from Splits to Package to VRF to Chillers. Partner in Environmental Protection Services Company ( EPSCO ) which offers HVAC cleaning & remediation services. Has served ISHRAE in the capacity of : NATIONAL PRESIDENT 2017-18, NATIONAL TREASURER 2015-16, REGIONAL DIRECTOR EAST and many other committee level positions. 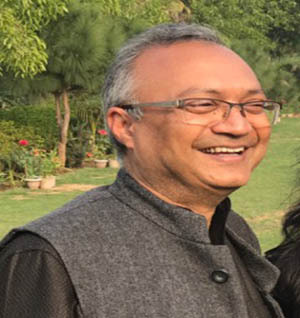 V K Jain a Mechanical Engineer from DCE , and an MBA from FMS both of University of Delhi worked for VOLTAS and Ranbaxy for a short while before joining the then Indian Airlines as a Management Trainee where he rose to the level of a Director. In Indian Airlines, he had been responsible for various facets of Supply Chain both at operational and corporate levels. After superannuation, he was Head Supply Chain of IGGA, a sister concern of INDIGO. He has been Chairman of MSD4 , one of the committees of Bureau of Indian standards looking after standardization in the area of Management for more than 12 years. 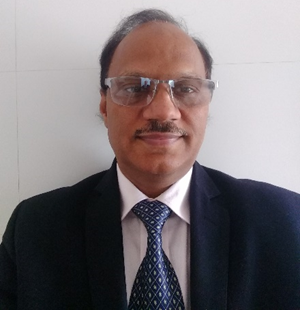 Dr. Vajpayeehas around 25 years of experience at senior level management in Non-Profit Organization like; Federations, CSR, Education and Sustainability Projects etc. He has been associated with various Govt and Non-Government organization’sBoards, Chambers etc. 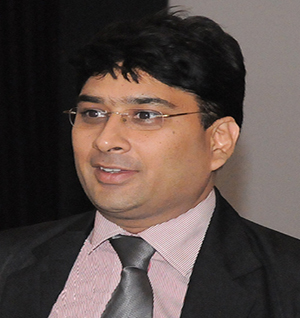 He is also known as a benchmark in the CSR and Education Sector. His stress management techniques and guiding principles are used as an example by the Institutions. He has developed an exclusive model of functional literacy program which is adopted by DMV Trust, Tata Power and Reliance Group BSES under their CSR scheme for women literacy and empowerment. Under his functional literacy model around 370 slum schools are run in India. 1. Shiksharopan’ model of functional literacy program. 2. An analysis of the insurance market in India. § General Secretary, All India Development Council New Delhi. § President, Association of Educational & Training Institutes (ASSOED). 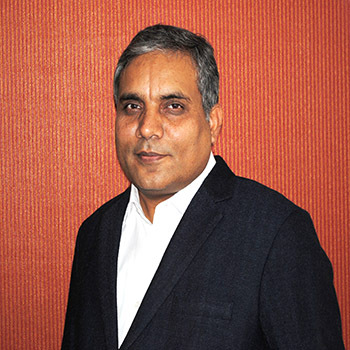 § National Director, All India Football Federation (AIFF) India, a unit of FIFA Switzerland. § I/C VC& Registrar, MITS University Rajasthan. § Pro Vice Chancellor Ansal University Haryaana. § Senior Director O P Jindal Global University Haryana. § Advisor, International Organization for Educational Development. § Advisor, Himalayan University, A P.
§ Director on Board, CMAI, New Delhi. § Advisor, International Management Centre, Delhi. § Member, DTB Association, New Delhi. § Member BCI Inspection Committee Delhi. § Distinguished Award from World Education Summit, Dubai in Feb 2016. § Education Excellence Award from Assocham-MHRD,Govt of India and in Feb 2016. § Best Worker Award from NCI & Research Centre 1998. § TCS –DMVT award for promoting E-Literacy Programme 2005. § HumanityTech India award for valuable contribution in education 2015. Interest: To serve in CSR/Chambers/Federations. Pinaki Dasgupta has a bachelor’s degree in Chemical Engineering from the Punjab Technical University, Jalandhar. His working experience spans 15 years with different chemical/environmental engineering and social organisations out of which 12 years was full time service in a multidisciplinary consulting firm. He currently works as an independent consultant in Process Engineering, Safety and Environment. He currently is associated with several leading engineering consulting organisation in the capacity of expert in Risk and Hazard Analysis for environmental and statutory clearance purpose. He is associated with ASSOCHAM as Sr. Technical Advisor in Sustainability division. 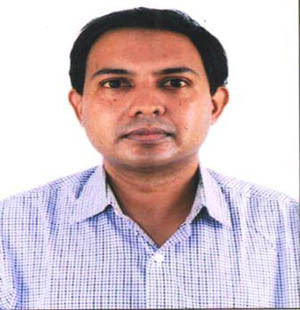 He is accredited as a Category A, Functional Area Expert in Risk and Hazard Analysis for Environmental Impact Assessment (EIA) study purpose by the Quality Council of India and has undergone training as a safety auditor from RLI, DGFASLI, Kolkata. He is a member of National Safety Council, Mumbai and IICHE. He has audited more than 100 hazardous units ranging from fertilizers, pharmaceuticals, isolated storages, industrial gases, large thermal power plants and steel. He has experience in providing training to 13 district authorities for emergency preparedness as part of project from HSM Division, MoEFCC. He has been involved in over 90 projects in chemicals, ceramics, foods, construction, biotechnology, medical and energy sector involving market research, policy research, technology road map, design and engineering, feasibility studies, detailed project reports, laboratory scale-up studies, EIA studies, emergency plans, safety audits, risk assessment, due diligence for labour laws along with training and capacity building in industrial safety for workers and owners/leaders of more than 50 micro small and medium industrial units spread across 4 states as a consultant of Foundation of MSME Clusters (FMC). His articles on safety have been published by various agencies online. 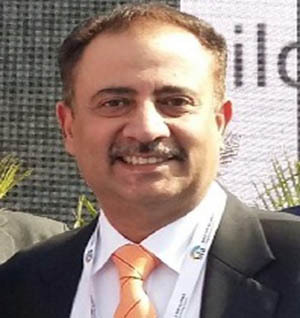 He has participated in several national and international campaigns and conferences as a delegate and speaker covering areas such as trust and integrity, resource conservation, sustainability and solid waste management. His paper on "Food Waste Management on Smart Cities" won the excellent paper award at the International Conference on Solid Waste Management held in Jadavpur University in 2016. He has been associated with UN as an online volunteer. He has been associated in voluntary capacity with non-governmental organisations working on climate change from youth and faith based perspective as well as with those providing scientific intervention to the informal communities such as handicraft artisans. 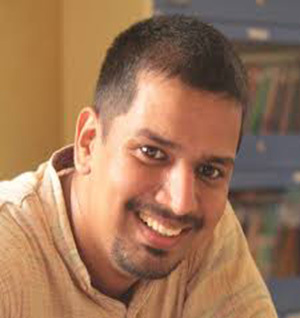 Pinaki has served as a volunteer and subsequently as board member in the Indian Youth Climate Network (IYCN) and Shristi, an NGO working on livelihood projects for non-formal communities especially handicraft artisans in terracotta and ceramics. He has led a small team to deliver educational courses on Sustainability and entrepreneurship to 150 students. Mr. Gupta is an Energy Efficiency professional providing Green Building Services, Energy Modeling, Commissioning and Energy Audits services. His experience includes performing new Commercial/residential building commissioning and retro-commissioning services, managing onsite energy system audits, leading energy efficiency analysis and modeling teams and performing building commissioning tests. Mr. Gupta has professional experience with performing energy audits for energy efficiency and cost payback analysis. He has conducted ASHRAE Level I and Level II energy audits for energy conservation opportunities in HVAC, lighting, building envelope and controls. He has experience in performing energy analysis for whole building using eQUEST. He has managed LEED projects for new construction and existing buildings. He has contributed towards early design decision using tools such as Ecotect and Dialux. International Exposure Mr. Gupta has also done onsite work on a project in San Francisco, California, USA. He was done several energy modeling jobs for projects around the world. ASHRAE Level I and Level II Audits- Completed Energy Audits for Residential, Government buildings, commercial and university projects by evaluating ECMs in building controls and automation, building envelope, lighting, and HVAC systems to determine return on investment, energy, and greenhouse gas reduction. He has also completed ASHRAE level 2 audits for LEED Existing Building. He has also worked on different benchmarking softwares like Energy Star Portfolio Manager, Cal Arch, EUI etc. Commissioning- Worked on pre-functional test forms for retro-commissioning. He has performed retro-commissioning on over 20,00,000 sq. ft. of commercial space and is familiar with both text based and graphic energy management and control systems. He has also performed new building commissioning services on over 10,00,000 sq. ft. including several commercial and hotel type buildings. Main Project Features: Complete Gap analysis of all Building Services including HVAC, Electrical, Plumbing, Firefighting, Fire Alarms, BMS, Access Control, CCTV etc. and restoring the system to its design conditions by performing retro-commissioning. Main Project Features: 12-year-old ITC Hotel Division Head Quarters. Helped in reducing the Energy consumption of the building drastically by replacing the cooling towers, some AHUs & FCUs and providing energy conservation measures in UPS & Lighting. Main Project Features: Cyber Towers is the first phase of HITEC City. This was the first tower built for promotion of Information Technology (IT). Cyber Towers was able to achieve a score of 94 out of 100 and hence qualified under Energy Star Portfolio and meets the mandatory requirements of Green Certification. LEED Projects for USGBC and IGBC- Project Manager for LEED projects for existing and new building for office, retail, factories and hotels. He has experience working on LEED documentation for all sections of LEEDs. He has completed approx. 10 certified LEED Projects. Five projects certified as LEED EB Platinum by USGBC. Energy Modeling for USGBC, IGBC & ESTIDAMA and BREEAM- Project Analyst for Energy Modeling projects for EAp2 and EAc1. Mr. Gupta has performed energy modeling on over 5,000,000 sq.ft. of commercial space and managed projects for performing energy modeling on over 20,000,000 sq. ft. of the same. New Construction Programs- Provided Energy Analysis for New Construction Program for LEED, ESTIDAMA and GRIHA. It includes whole building energy modeling, custom analysis and pre-qualified measures analysis using tools such as eQUEST, custom measure spreadsheets for multi-family housing, office building and manufacturing facility. LEED Reviews for IGBC and USGBC- Mr. Gupta has an experience to review all sections of LEED submittals provided by Indian Green Building Council. He has also involved in Energy modeling review provided by USGBC. IRS 179D Energy Tax Deduction Program-. Provided whole building energy modeling based on ASHRAE 90.1-2001 for IRS 179D Energy Tax Deduction projects. Industrial and Process Efficiency Program- Provided Energy Efficiency opportunities for industrial and manufacturing projects for new construction and existing building. Demand Response- Project Manager for Data Quality team who perform the data quality review for Demand Response projects in USA and Australia. Mr. Juneja is the Managing Partner of “Design2occupancy Services LLP” an engineering firm providing Green Building Services, Energy Modeling, Commissioning and Energy Audits services. His experience includes performing new building commissioning and retro-commissioning services, managing onsite energy system audits, leading energy efficiency analysis and modeling teams and performing building commissioning tests. His exposure to Solar PV industry as a system designer and material selector and then diversifying into the green building sector has added many portfolios to his profile. The experience in energy sector includes construction advisory and implementation, simulation services, energy audit and system commissioning, indoor air quality advisory and envelope optimization. Having represented on several national and international forums, a rich experience is what has come of it. Air conditioning has been a subject of interest and the latest addition has been the design of earth air tunnel systems and chilled beams. LEED Projects for USGBC and IGBC- Project Manager for LEED projects for existing and new building for office, retail, factories and hotels. He has an experience of working on LEED documentation for all sections of LEEDs. He has completed 15 certified LEED Projects and several LEED Existing Building Projects. Energy Modeling for USGBC, IGBC & ESTIDAMA- Mr. Juneja has performed energy modeling on over 50,000,000 sq.ft. of commercial space and managed projects for performing energy modeling on over 200,000,000 sq. ft. of the same. His software experience includes experience on IES, TRACE 700, eQuest and Visual DOE. New Construction Programs- Provided Energy Analysis for New Construction Program for LEED, ESTIDAMA and GRIHA. It includes whole building energy modeling, custom analysis and pre-qualified measures analysis using tools such as eQUEST, custom measure spreadsheets for multi-family housing, office building and manufacturing facilities. ASHRAE Level I and Level II Audits- Completed Energy Audits for Residential, Government buildings, commercial and university projects by evaluating ECMs in building controls and automation, building envelope, lighting, and HVAC systems to determine return on investment, energy, and greenhouse gas reduction. He has also completed ASHRAE level 2 audits for LEED Existing Building. 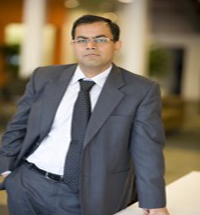 He has also worked on different benchmarking softwares like Energy Star Portfolio Manager, CalArch, EUI etc. Commissioning- Worked on pre-functional test forms for retro-commissioning. He has performed retro-commissioning on over 20, 000, 000 sq. ft. of commercial space and is familiar with both text based and graphic energy management and control systems..
Main Project Features: Delhi Metro is the 7th best metro network in the world using state of the art HVAC technology for its underground stations. The project includes carrying out pre-commissioning tests and system acceptance tests for all the HVAC systems installed on the upcoming underground metro stations. Main Project Features: 15 year old packaging plant (for Coca-Cola). Helped in reducing the energy consumption of the plant drastically by replacement of inefficient motors and lighting fixtures. Main Project Features: De Shaw India Private Limited is a part of the D. E. Shaw Group, a global investment and technology having a significant presence in the world's capital markets, investing in a wide range of companies and financial instruments in both developed and developing economies. According to BEE guidelines for BPO, De Shaw India Private Limited was able to achieve 4 Star rating building under BEE. LEED Reviews for IGBC and USGBC- Mr. Juneja has a rich experience in carrying out USGBC reviews for LEED NC, Schools, CS and CI projects. He has reviewed over 200 energy modeling sections for various projects, 20 CI full reviews and numerous IGBC certification assessments. His field of expertise is energy evaluations including modeling, HVAC submittals, commissioning and lighting. Solar PV and Hybrid System Design- Through his past experiences Mr. Juneja has had an involvement in design of Solar PV and hybrid system design. These were majorly stand-alone systems. Language Proficiency – Mr. Juneja possesses excellent writing and speaking skills in English. Managing Director, Ela Green Buildings & Infrastructure Consultants Pvt. 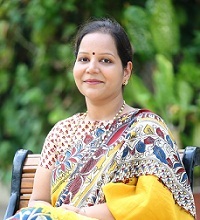 Ltd.
Samhita M, ECBC Master Trainer, GHMC authorized TPA, LEED & IGBC AP, Edge Auditor & Expert is the Managing Director of Ela Green Buildings & Infrastructure Consultants, a company founded in March 2009. An architect from Anna University, Samhita’s academic qualification also includes a PGPM from Great Lakes Institute of Management, Chennai. Prior to starting Ela, she worked with Ashok Leyland Properties and the CII Green Business Centre, Hyderabad where she was associated with all the prestigious projects of CII ranging from developing of rating systems and formulating framework for certification of Green Buildings. Over the last decade, she has trained more than 1500 professionals in the field of energy efficiency in buildings and green buildings. She has also consulted for more than 100 projects on green building services. Some of the clients include under her leadership Infosys, Microsoft, ITC, Coal India, Symbiosis, and many more. She has over 12 years of experience in planning Green and energy efficiency Building Solutions and is an ardent advocate of sustainable living and energy efficiency. She has been also awarded the Telangana State Energy Conservation Award in recognition of her contribution towards energy conservation practices in the State. 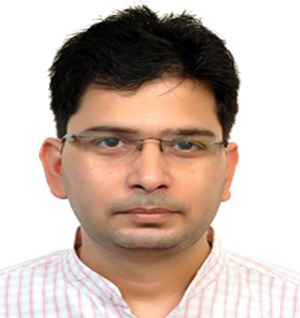 Mr. Anurag Bajpai is a Co-founder of M/s GreenTree Building Energy Private Limited which provides Green Building Services like Building Energy Modeling & Solar Simulation, Dynamic Thermal Modeling; Energy Assessment & Performance Study; Facilitation of Building Rating System (LEED/GRIHA/IGBC), etc. He is a board member of International Building Performance and Simulation Association (IBPSAIndia). He also serves as a member of a technical committee framing the guidelines for adaptation of Building Energy Code (ECBC-UK) for Uttarakhand, India. Participating in climate change activities, he plays a very active role in India Youth Climate Network (IYCN) activities. His international papers and articles on Building Energy Efficiency and Architectural Curriculum Enhancement have been published in national and international journals. He has worked in different capacities with several profit and non-profit making organizations. He has worked as Energy Policy (ECBC) and Communications Expert at USAID program. His stint with Siemens Power Engineering Limited (SPEL) got him an excellent experience of Power plant engineering services. He has also got privilege to work with Ar. Charles Correa, a major figure in architecture worldwide. He worked on implementation program of Energy Conservation Building Code (ECBC) as a part of USAID ECO-III Project. His scope covered ECBC demonstration project including energy simulation, Educational Curriculum Enhancement program for 20 Architectural/engineering colleges, ECBC awareness material, workshops, and conferences. Also, he has worked as a member of “Development team of ECBC User Guide”. Specialties: High Performance Building Designing, Energy Tools Development, Energy Code Compliance, Educational Training Workshops, Market Research. Has experience in working on over 50 green building & GRIHA projects as a researcher/consultant for building energy simulations, sustainability strategies including water and waste management and renewable energy technology applications. Shakti Leekha expertise in expanding solutions and product portfolio, leading business teams, establishing thought leadership, driving new initiatives and building strategic alliances for creating successful business. 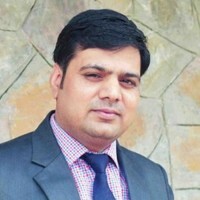 He is the Marketing Head/CMO for Illumination Business for Bajaj Electricals Ltd.
With Bajaj, he is transforming the building and energy management market for Smart Buildings and Smart Cities along with developing unique Innovative IOT based solutions for smart infra. An expert in IoT and IoT-based solutions, IoT Platforms, Gateway, EDGE Analytics, IoT Lifecycle and IoT-based Vertical Solutions He has been instrumental in doing partnership of Bajaj Electricals Ltd and Cisco for Infrastructure management of intelligent street lighting solution. Gooee for Indoor lighting solutions on IOT. Established IBMS training lab under National Skill Development Programme in BVP –Pune as part of Fire Security association of India Initiative. He has been creating technological advanced Infrastructure in Indian market and created first few Intelligent Buildings in India. Engaged in more than 500 building projects with more than 90 M Sqft of Smart Green Building development; part of multiple GRIHA and LEED rated Buildings and has delivered more than 100 Datacenters with multiple Tier-3 class datacenters in India. He has played a vital role in getting world class Infra at BKC, Mumbai, ensuring deployment of various energy efficient ,smart , safe and secure solutions with various HQ Buildings. Speaker in various forums, done advocacy for smart infra, has published several articles & white papers on Life safety, Security systems, Smart Cities, High Performing Safe Buildings and Energy Efficiency. He has done Institutional work in various capacities with Pune University, CII, IGBC, ASHRAE, ISHRAE, FSAI, DSCI,INFRA and ELCA & Institution of Engineers. Shakti has been awarded by CIMS ,All India Institute of self-governance and UBM Medica as “The Best IBMS Company” in 2015, and Smart Green Building Initiative Award 2017 & Finest India Skills and Talent Award-2017 under his leadership in Bajaj Electricals Ltd. He is a Engg Graduate with management qualifications from JBIMS has over 21years of professional experience .He is associated with various Universities as Member Board of Study . Honorary Member of GEM National Committee in Assocham. Subrata Chowdhury’s experience spans over 38 years in Project Management for Residential & Industrial Projects from the drawing table to site execution. He has contributed substantially in providing inputs in Value Engineering, Urban Master Planning, Critical Structural input in Geotechnical aspect and Mass Housing for urban area and cities. He has managed a total project portfolio of 1 million sq.m with a combined valuation of Rs2000 crores. He has served as President and COO of reputed companies including Hero Realty Pvt. Ltd. and Shristi Infrastructures managing a team of 100 personnel. Subrata has a certificate in Management from IRMA and a Bachelor in Technology (Hons) in Civil & Structural Engineering from Indian Institute of Technology, Kharagpur with 1st class and distinction in subjects like structure, bridges, roads and highways etc. He spent 7 valuable years with National Dairy Development Board (NDDB) and worked under the dynamic leadership of Dr. Verghese Kurien, “MILK MAN OF INDIA” in Operation Flood II in constructing various Dairy & Milk Plants all over the country including development of Plants for certain specific unique food items in those days like “Misti Doi” and first tetra pack fruit drink “Fruti”. In addition, he have been associated primarily with big and midsize developers, several government and quasi government bodies as a consultant and advisor for urban development authority particularly in infrastructure of roads, bridges, sewage system and effective waste management. His work has led him to work on diverse thematic areas with leading consultants and architects. He has coordinated for work like Architectural Conceptualization, Master Planning, detailed planning, structural frame work alongwith foundation system, design coordination with structural and geotechnical experts, Traffic Planning, Landscape Planning overall service network planning keeping all the codal permissions of environment, fire safety, underground water use, sewage & garbage disposal are coordinated with respective consultants from inception to delivery level.